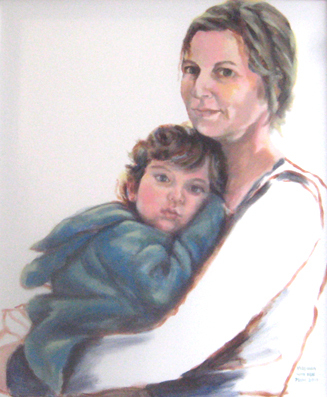 I love painting portraits, but the process of painting my mother was an interesting experience. I knew her face so well. I had snuggled my own face against hers since I first came into this world. I should have been able to paint it with my eyes shut. But what was I projecting? When I stood back, she was smiling … yet up close she appeared to be scowling! Dad complained that I never filled in her pant leg. I told him, “That’s because my relationship with Mum isn’t finished!” Mum liked it, but Dad grumbled about it all the time. When I look at the painting now, I feel I’m in the presence of my mother. I no longer see a scowl—I just see her smiling and I feel her love. I guess Dad would say my relationship with my daughter isn’t finished yet, either … since I never filled in her shirt. 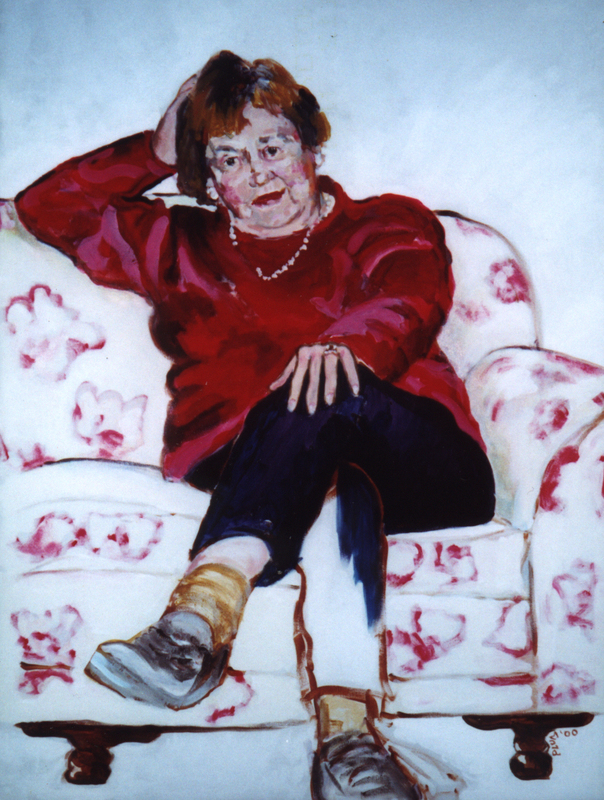 I just adore your painting of my mom , MARY , And in your own words , I am lucky enough that it is isn’t ” finished “either.